With regards to performance and health, one of the key pieces I consistently see people leaving on the table is a improper wind down before bed. We all know we need to rest, but wrongly assume that our body will rest when the time comes. This is not the case. I’m sure most of you have had nights where you laid in bed the whole night and couldn’t fall asleep. 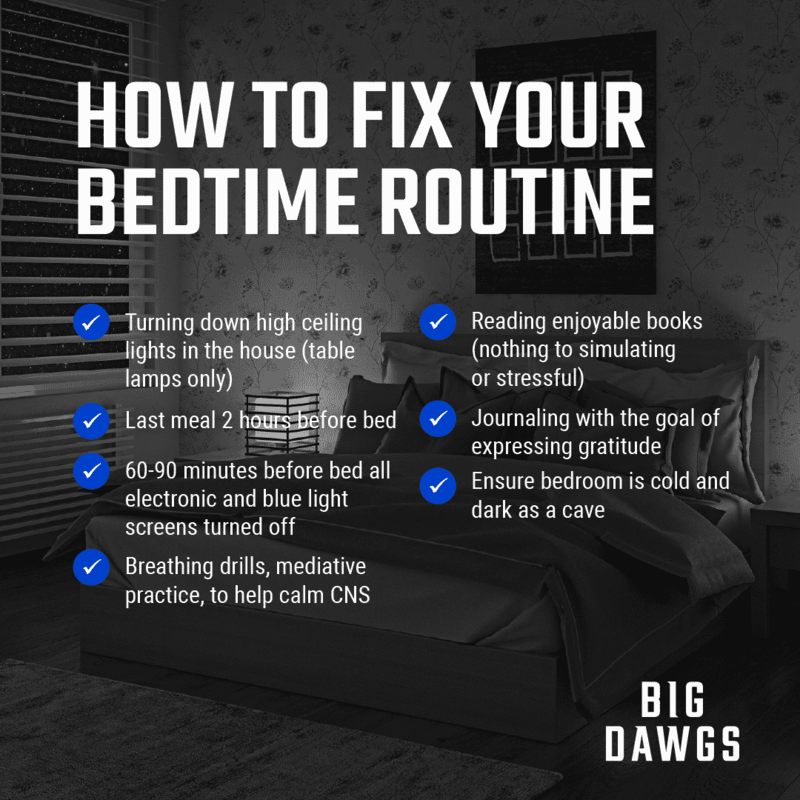 While we do need adequate sleep each night (more on that in another post) we have to remember that we need to properly “set ourselves up” to sleep. I like to call this the “wind down.” The wind down is the 2-3 hour period before your head hits the pillow and it’s nighty night. Now, let’s discuss all of the activity and stimulation we experience on a daily basis and how that might be negatively impacting our ability to rest. All of these pieces are great ways to pull us out of a stimulated state and into a calm state setting ourselves up to rest effectively. At the end of the day it’s not about what we can do in the gym but what we can recover and grow from that will always be predicated on our ability to wind down and rest effectively.